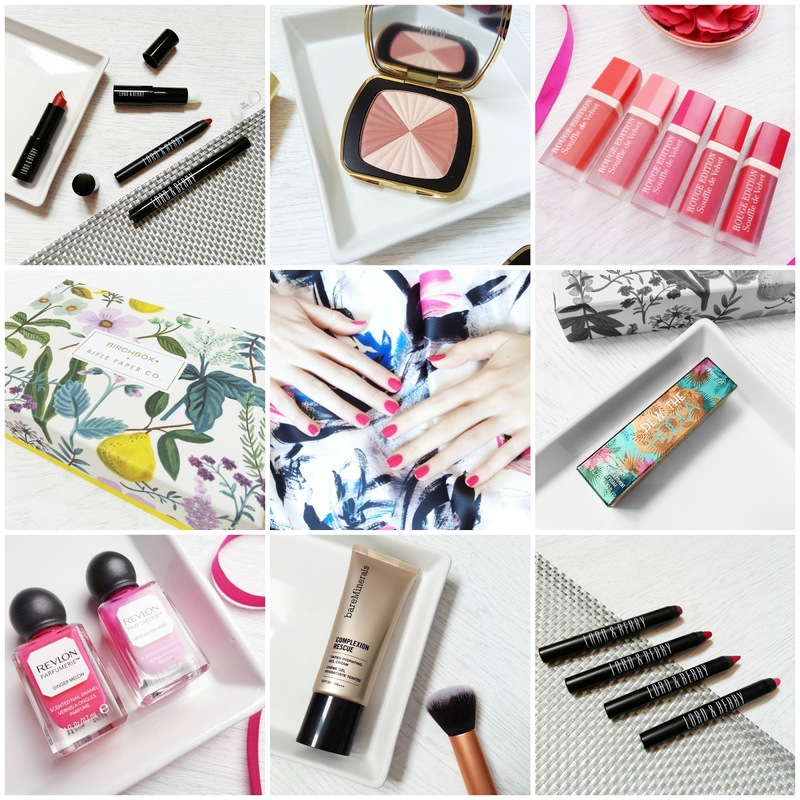 I nearly forgot to do my April Instagram round-up! T:L I'm a big fan of Lord & Berry's lipstick crayons, so when I had the opportunity to try out some more Lord & Berry products I jumped at the chance. I can't wait to try the lipstick and the mascara, which has a quite unusual wand. T:M Any pictures I post of products from the bareMinerals Lovescape collection tend to be very popular and I'm not surprised. The packaging and products are beautiful. T:R I'm a huge fan of the original Bourjois Rouge de Velvet liquid lipsticks so I'm always eager to try any follow up products they release. Unfortunately I've found these disappointing, Hopefully I'll get my post up on them soon. M:L The April Birchbox featured a collaboration with Rifle Paper Co and the two box designs available were both gorgeous. I'm not surprised the picture of my April box now holds my highest 'like' record. M:M This one is my entry to the Essie and Rankin competition for a chance to be pampered by Essie and photographed by Rankin. The post I read said Essie would pick their favourites so I tried to make an effort to create a good image. They actually picked their winners at random and unfortunately I wasn't one of them. M:R One of the products in the April Birchbox was a sample size of one of Benefit's newest products, Dew the Hoola. Although the bottle inside isn't that exciting the outer cardboard packaging has a beautiful design. B:L I featured these Revlon Parfumerie shades in my spring bright nail shades post and the bottles proved very popular. It's a shame these shades were discontinued quite a while ago. B:M I've wanted to try the bareMinerals Complexion Rescue since last summer but never got round to buying it. I've finally got my hands on it and I got it for a bargain price too. B:R As I said I'm a big fan of the Lord & Berry lipstick crayons and these are the shades I currently own. I thought I might add a little bit to these posts recommending a few accounts I enjoy following. This month I'm focusing on cats! If you're a cat fan then you need to be following @cobythecat and @smoothiethecat. Coby's liner is 'on fleek' (you'll see what I mean!) and Smoothie has the most beautiful green eyes. What accounts would you recommend?